The first fully improvised album I ever bought was probably 66 Shades of Lipstick. Pianist Keith Tippett had already had a distinguished career by then, and saxophonist Andy Sheppard was an up-and-comer, but to me in 1990, they were just blokes who happened to have an album on E.G. Records, the short-lived but vital label that produced Bill Bruford’s first Earthworks albums and the King Crimson Discipline trilogy that I so treasure. Moreover, 66 Shades got picked by Jazziz magazine as the top album of the year. This was a bit unusual, as Jazziz had been a champion of the then-hot smooth jazz trend. Something this far off the beaten path seemed worth exploring. For me, it was just a lark. My sincere interest in improvised music wouldn’t develop until later in the decade. So how does this same album hold up, with all that experience now packing my ears? I have to admit that back in 1990, I didn’t listen to 66 Shades very carefully. I liked the sound and I appreciated the experiment of it all, but my ears, trained by prog rock, were still seeking patterns and time signatures. I was watching a 3-D movie and trying to detect scents. So, I gravitated toward the tuneful and catchy. “Shade 1” was the right start, with a wood block to putting percussive tickle on Tippett’s opening piano riff. That, and Andy Sheppard’s overly sweet soprano saxophone, were elements I could relate to. What stuck with me most was this description of the improvising process, from Tippett’s brief liner notes: “The music had to be carved like sculpture from the air.” I love that metaphor, and I’ve stolen it on occasion. But comparing the results to the other improvised music I now own, whether jazz-oriented or more abstract, 66 Shades is below average. “Shade 13” is a bare snippet but doesn’t have to be. I guess it’s believable that the improv ended organically there, but it also smacks of, “We’d better includes some short ones to show how spontaneous this was.” Likewise for “Shade 6,” which is a brief soulful melody, the kind that’s pretty but not at all special. Assuming they recorded 66 takes (which is where I’m assuming the title comes from), there must have been something more deserving of album space. On the other hand, “Shade 9” is a hardy improvisation with prepared piano and some bass-note flourishes by Tippett, with Sheppard pursuing a robust stream-of-consciousness trail. “Shade 3” is the first track on the album that made “sense” to me, in that Tippett presents a linear idea — ocean waves of tumbling notes, sticking to one musical mode — over which Sheppard adds grand flourishes. But with today’s ears, I’m more drawn to the fluttering and scribbling of “Shade 2,” a track I completely didn’t remember. “Shade 5” is like a serious attempt at a symphonic film noir piece; it’s not bad but not something I’d return to frequently. “Shade 14” is a more appealing idea of taking a simple concept — a rapid-fire swirling, in this case — and just building from it. After a dervish-like start, it settles on a more moderate pace but keeps up that looping, swirling feel. The E.G. label didn’t last long, so everything I own from its catalog is a keeper. 66 Shades might not top my list of favorites, but I’m proud of myself for giving it a shot, so long ago. 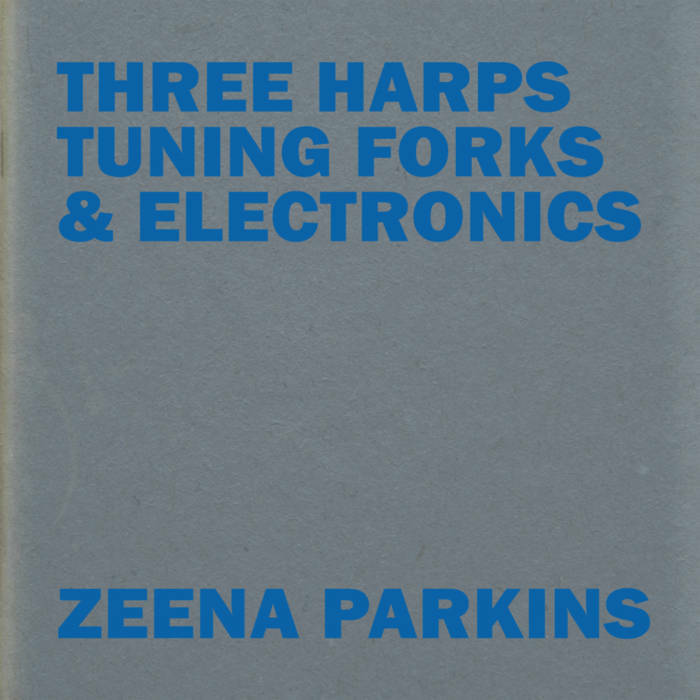 I tend to encounter Zeena Parkins primarily as a composer and electronics performer, including electronically enhanced harp. But of course, her base instrument is the harp itself, so it’s a change of pace to hear so much of the unadorned acoustic harp on Three Harps, Tuning Forks & Electronics. Harps are good for spinning a sense of wonder and calm, and you get plenty of that on Three Harps. But you also get lots of creative, non-traditional playing, even before the electronic enhancements and tuning forks come in. The simple plinking of harps, played aggressively by Kristen Theriault, Megan Conley, and principal harpist Nuiko Wadden, plus Parkins herself on occasion, yields some engaging results with an overarching tunefulness built by minimalist, abstract strings of melody. “Muted” starts with a lively, tickling pulse. What keeps it rather quiet is the nature of the harps themselves, but the track is still full of moments such as a sudden run of notes from one harp, or small strumming motions — musically percussive slaps — coloring one short segment. On “Determined,” Parkins (or possibly Ikue Mori) adds splashes of electronics consisting of sampled harps compacted into small splashes of gibberish. “Mouse” then introduces a truly new array of sounds: Vibrato, percussive scraping, and a gray electronic roar join a backdrop of scurrying, minimalist flickers on the untreated harps. The contemplative “Tuning Forks” is, of course, where the tuning forks come in, played by Mori. They’re played straight, creating shimmering tones that are so abstract as to feel almost tuneless at times. The overtones linger, creating a contemplative backdrop for Parkins’ swampy array of electronics. Based on music written for a 2008 dance project, Three Harps is a nice showcase for technique and compositional approach, and it works as a single, coherent piece — it has that narrative thread to it. This blog was never supposed to have much prog-rock content, as I’d left that phase of life behind. But I’m starting to listen again, just a little. What I’m finding is that the things that ultimately turned me away from prog — the pretentious air and melodrama; the worship of bombastic musicianship; the lyrical posing or the smug “I’m such a misfit” self-pity or (worst of all) outright misogyny — are still there. I didn’t imagine them. But some of the musicianship is honestly good, and some of the chording, particularly in the Canterbury styles, is still attractive and nostalgic to me. I’ve been exploring in fits and starts, inspired by the terrific output of the band Knifeworld. A genre search on Bandcamp turned up Thieves’ Kitchen, with an appropriately British sound and an honest-to-goodness mellotron in their arsenal. I’ve always disliked mellotron, I have to admit, but Thieves’ Kitchen does a great job re-creating that keyboard-heavy style that’s all airy and pretty and melodic. I’ve been enjoying their Clockwork Universe album quite a lot. The real tipping point, though, was Ready Player One. In parallel with revisiting my prog roots, I’ve been rediscovering my sci-fi fandom. I’ve avoided sci-fi for a lot of the same reasons as prog, and in both cases I’ve gravitated toward things that are more ambitious and, for my taste, better (jazz and literary fiction, respectively). The sci-fi tide returned two Christmases ago, when I was under duress to fill out a wish list (I have relatives who are way into Christmas gifting) and started throwing books onto it. I’d just seen William Gibson’s The Peripheral at a bookstore, so — what the heck. 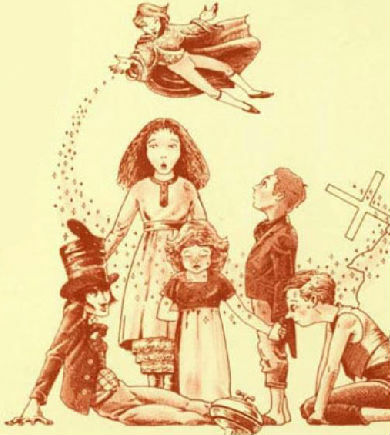 That book turned out to be a fun ride. So, knowing that I liked in Gibson’s writing in general, I finally picked up a copy of Neuromancer, more than 30 years late. And it blew me away. I’d be lying if I said I voraciously dived into sci-fi at that point, but I began considering it more and ended up reading Ready Player One at the behest of friends. If nothing else, I wanted to make sure I got to it before the movie came out. 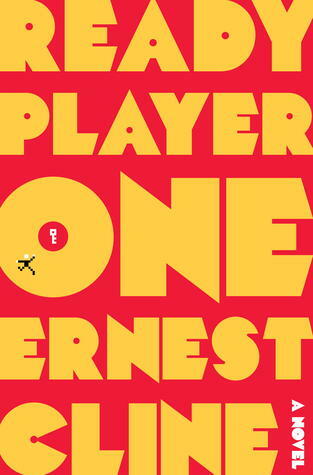 Ready Player One is by no means deep or even well plotted. But it’s fun, and it leans heavy on nostalgia from the mid-1980s of my high school years. The way the book serves up references to TV, movies, music, and video games is almost pandering — but I didn’t care. I devoured it greedily. And after reading the second half of the book in one sitting, I stayed up all night listening to Rush. You know what? Rush holds up, all these years later. Now, if you have a problem with Neil Peart’s over-cerebral lyrics or Geddy Lee’s voice, I can’t help you. They’re part of the package. But Lee’s bass, now that I’m actually listening, is phenomenal. Peart’s drumming is still over-the-top, but it’s awe-inspiring in a Cirque-du-Soliel way and richly creative. Alex Lifeson’s guitar chords are still dense and a little brain-bending (check out his patient dissection of “Tom Sawyer,” spelling out exactly what those chords are) and his solos still excite me. And I’m relishing the experimental touches that I used to ignore — like the patient synths and drums stretches on “The Weapon,” or the entire song “Red Lenses,” which sounded so weird back then but so perfectly normal today. Now I’m playing Rush during car trips. The kids don’t seem impressed. I had to buy something, so arbitrarily, I dipped back into the world of Porcupine Tree. 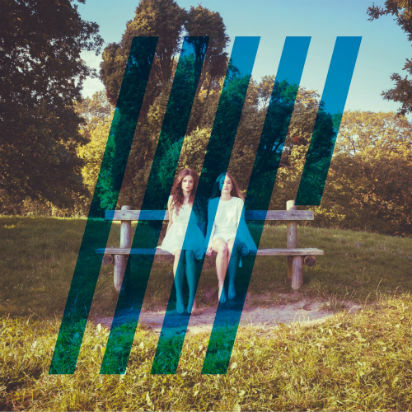 Specifically, I bought Steven Wilson’s “4 1/2.” Lyrically, I have a lot of problems with it. “Don’t hate me / I’m not special like you” is that particular breed of wannabe-poetical that turned me off on prog in the first place. But the music tickles that latent prog center of my brain. Like a visit to an old neighborhood, it feels a little bit retrograde, a little bit nourishing, and a little bit like rediscovering a piece of who I’ve always been. For the past year, I’ve felt like my visit to Japan should have included a deeper investigation into Japanese free jazz. I spent a lot of time in mainstream stores, and my time at Disk Union, the grand dame of Japanese underground records, was spent on the prog rock floor, not in the jazz/improv area. 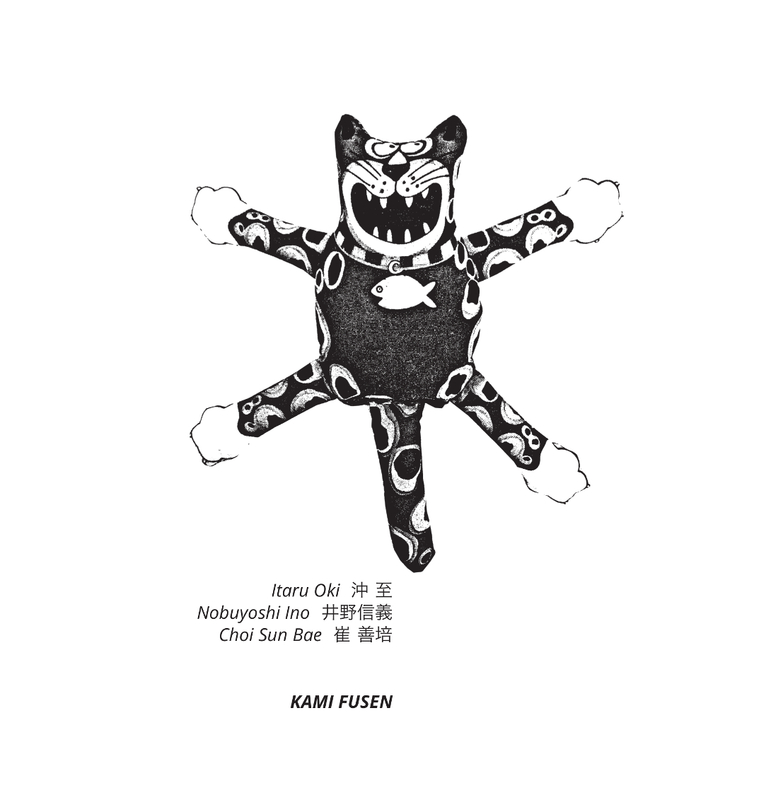 I found an opening with Kami Fusen, newly out on the NoBusiness label. Recorded in 1996 at Café Amores in Yamaguchi, the album features two trumpets and a bassist, all three being veterans dating back to the ’70s. And while I was at it, I used Squidco to track down a 1975 album by one of the three. Recorded in 1996 at Cafe Amores in Yamaguchi, Kami Fusen features compositions and a few standards that branch out into improvised abstractness. It’s not ecstatic jazz — more a cool flame than a bonfire, with harmonized themes and long stretches where one trumpet sits out. The backstory is that when trumpeter Itaru Oki and bassist Nobuyoshi Ino were touring as a duo in 1996, promoter Takeo Suetomi invited Korean trumpeter Choi Sun Bae to sit in with them for this gig and recorded the results on DAT. 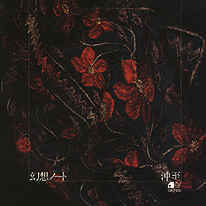 The resulting CD is part of a collaborative series between NoBusiness and Japan’s Chap Chap Music. Japanese music tends toward a sweetness, manifested even in their metal and rap (but not in noise, as Merzbow can attest). There are traces of that here, such as a pop-sounding progression ad the end of “Yawning Baku” or the slow, sentimental melody of the title track. This certainly counts as a free-jazz session, though. That title track eventually splits into ragged screams of passion from one trumpet while the other trumpet (the smoother tone that I’m guessing is Bae) continues improvising melodically over the chords. “Ikiru” opens with a jagged free improvisation, with Oki on high-pitched bamboo flute against Bae’s supremely high-register trumpet squeaks. The album closes with a standards melody, including a solo trumpet take on “I Remember Clifford” and a swingy take on “Old Folks” that builds into a playfully bouncing improvisation. The DAT-recorded sound is pretty good. Ino’s bass — the crucial energy source that really does drive the session — is easy to hear albeit not very deep. On “Pon Pon Tea,” Ino is the one who propels the freely improvised segment. The two trumpeters follow, intertwining aggressively but leaving enough space to absorb what’s happening. It’s “Composition 23 J,” an earlier Braxton piece with a melody even my ear can recognize. The trumpeter is Bobby Spellman, who put on this show last year for Record Store Day. Note To Self #1: If I’m ever in that Maine/New Hampshire coastal area, there’s a record store just over the state line in Newburyport, Massachusetts. Note To Self #2: I should check out what else Bobby Spellman has going on. The Revenge of the Cool nonet sounds like it’s got a good attitude. And here’s an album from Cryptozoology, a five-piece with a tuba. And for good measure, here’s Braxton himself on “Composition 23 J.” Correlating the instrumentation with the discography, I’m thinking this is from Dortmund (Quartet) 1976 (hatArt, 1991) with George Lewis on trombone, Dave Holland on bass, and Barry Altschul on drums. h/t Tri-Centric Foundation: @tricentricfdn on Twitter.